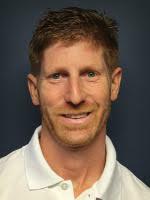 Coach Daniel Gurtov is the Sunrise SC College Recruiting Director, and has been an instrumental part of getting our athletes matched with the top college programs in the United States. Kick2College was established by my passion for soccer and working with kids. I combined them five years ago and have been assisting club level players through the recruiting process ever since. Over that time I have built relationships with college coaches that have helped streamline the recruiting process, helped families minimize expenditures during the recruiting process, and more importantly, helped families earn college scholarships.